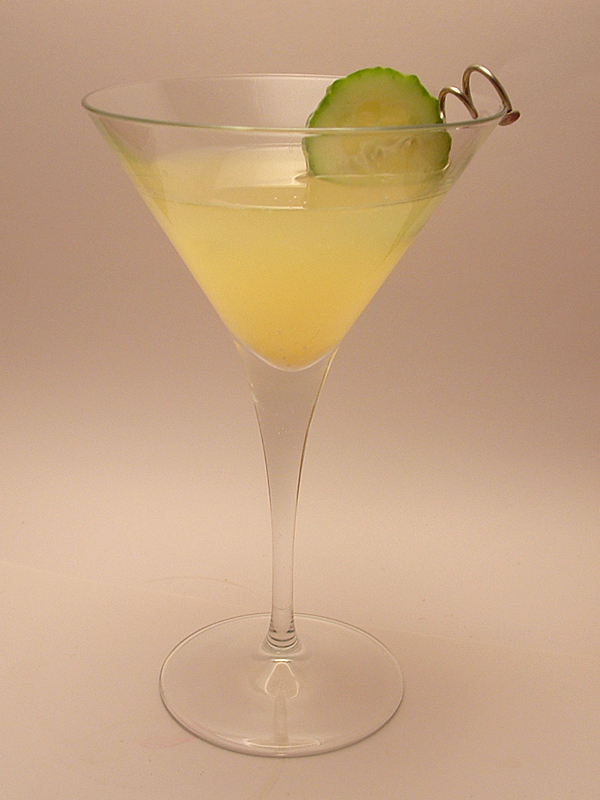 The Spa-tini – is that a Cucumber in your Drink or are you just happy to see me? You are here: Home / Vodka based / The Spa-tini – is that a Cucumber in your Drink or are you just happy to see me? 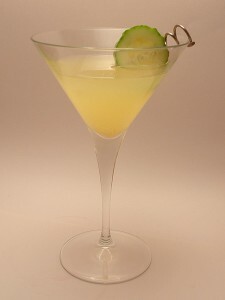 Discovered this great drink recipe for the Spa-tini published on the Chow Bella blog on the Phoenix New Times web site. A favorite at the Wildfish Seafood Grille in Scottsdale, AZ, it combines the fresh flavors of cucumber, pineapples with a twist of lemon. After we finished our drinks, the whole Madtini staff sat back and placed the cucumber garnishes gently over your eyes. At least we looked like we were at the Spa. Muddle both the cucumber and pineapple in a cocktail shaker. Add ice cubes and the vodka, Cointreau and lemon juice to the cocktail shaker. Shake and strain into a chilled cocktail glass. Garnish with a fresh cucumber slice. Thanks to Chow Bella and the Wildfish Seafood Grille for this recipe, if you’re in the Scottsdale area check out this refreshing cocktail in person. We’re off for a full body mudpack treatment, cheers!